#IFBC18 is fast approaching and we have some awesome updates for you. 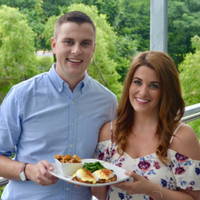 Where to find Gavin and Karen: #IFBC18 on Saturday, August 25 from 2:45 p.m. to 3:45 p.m. at the Royal Sonesta Hotel New Orleans! Then make sure to check out the next session on Influencer Networks from 4 p.m. to 5 p.m. with the CEO’s from Izea and Chicory! They will share everything they know regarding the ins and outs of Influencer Networks and Influencer Marketing! During this moderated panel discussion, the panel will share insights from the frontline of selling to America’s advertisers (major CPG companies, leading retailers and more). Izea will provide findings on their latest content marketing and influencer marketing research, and from Chicory, we’ll hear about how influencer marketing is helping to drive a new wave of consumer habits, namely online shopping. We’ll talk about how sponsored blogger work gets packaged into a larger program for advertisers, how we position influencer marketing in today’s market, and the latest must-knows for influencers. Best practices, from the other side. What are your clients concerned with that maybe you have never thought of? You do not want to miss this event! For more on the #IFBC18 line-up, check out our agenda and get registered before it’s too late! We’d love to welcome you to New Orleans and know that you’ll go home with a wealth of knowledge and inspiration to take you blog or influencing program to the next level!